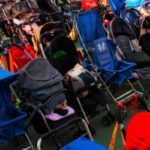 If you’re a new parent or about to be one, it might seem overwhelming how many different kinds of strollers are out there. There’s double side by side, with two seats right next to each other. There’s also double tandem, with one seat behind another. 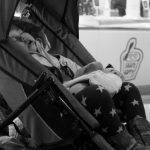 Also in the stroller world are sit-and-stand strollers, where one child can stand up while the other one sits. 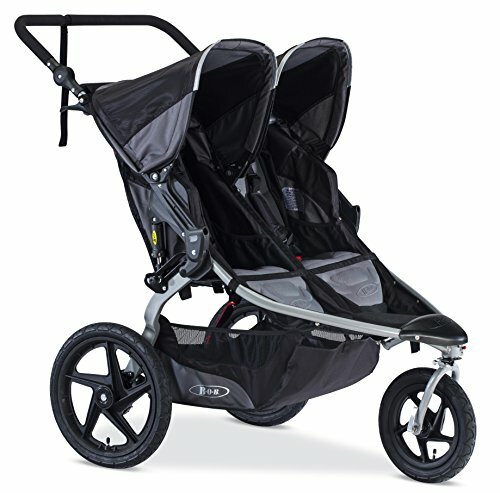 Below, we look at the best double side-by-side strollers available. 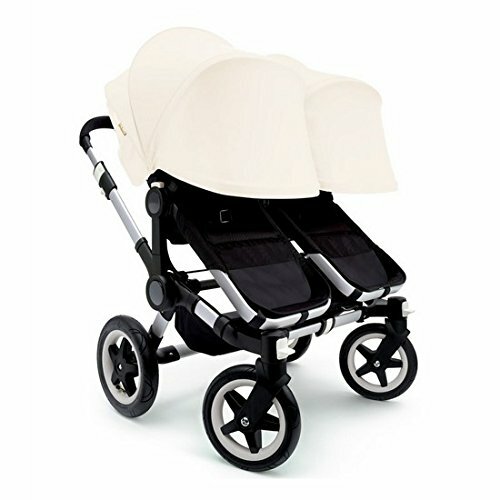 They have become so popular, you probably feel like you’ve seen nothing but double side-by-side strollers lately. A large advantage of these is that they carry two children at once; meaning parents with twins or siblings close in age can be easily accommodated. Additionally, many double side-by-side strollers are easily converted into single strollers and can be collapsed and folded with ease. However, some double side by side strollers have issues with manoeuvrability and their larger size can be a hindrance for getting through narrow passages. 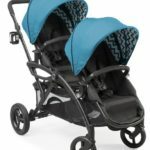 Here is a round-up of the best non-toxic double side by side strollers, to help you decide which one is the best for you and your children. 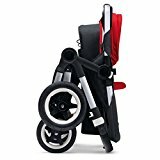 This stroller has space to carry two children at a time and has a black design. It is designed to fold quickly and easily. 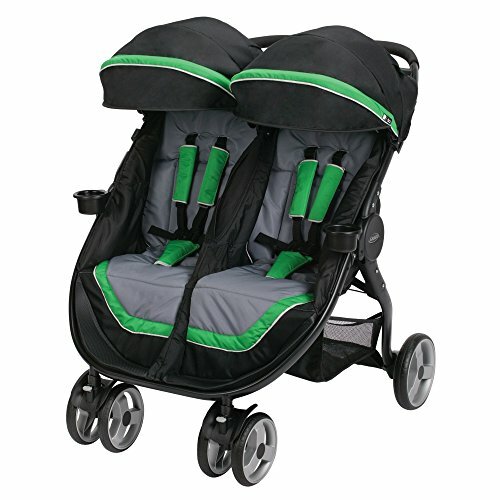 It also combines with any Britax car seat to make for an easier transportation situation. Getting children through crowded areas isn’t too much of a problem, as it is sleek enough to get through narrow passageways easily, while still having ample room to carry two children. It also has significant reclining capabilities, as each seat can recline individually to the point of practically being flat. The stroller has a maximum weight recommendation of 50 pounds, meaning you might be at a disadvantage if you plan to transport two toddlers. This is another black stroller with space for two. Its front wheel has a special swivelling-locking design meant for manoeuvring through difficult areas. It also comes with handlebar adjustments to accommodate varying heights of parents. Despite its spaciousness, it is also light in terms of weight, meaning it can be carried around quite easily. It’s air-filled tires means that it can handle a variety of terrains as well. Some might have issues with the lack of available accessories. Maximum weight recommendation: 55 lbs. This is a stroller for two or just one; it’s your choice. It can be easily converted into a stroller for two children and is just as wide as a single buggy stroller. It also can be fitted with up to two car seats. It can protect against the sun quite nicely with specially designed sun canopies that offer SPF 50 plus for your children. Some have complained of a strong odour associated with the stroller. Although it might sound like a new cartoon character, Bugaboo Donkey is a stroller with lots of versatility. It can become a two-child or a one child ride with ease; you just have to follow three simple steps. 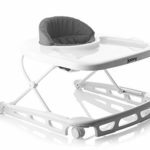 It can become either a bassinet stroller or a seat stroller quite easily. Maximum weight recommendation: 37.5 lbs. This stroller is more affordable than some of the others and good value for money. It is versatile, allowing seats and footrests to be reclined easily. The sizable wheels make manoeuvring easy and the pockets provide ample storage space for snacks, phones, wallets, and anything else you might think you need as a parent on-the-go. This stroller seems to work best on paved surfaces and therefore might have difficulty manoeuvring on softer surfaces such as grass or sand. Maximum weight recommendation: 90 lbs. This is another affordable double stroller. It allows for individual reclining for each child, depending on what they prefer. It has canopies with visors to provide ample shade for your children. Its special design, FastAction Fold means that it can be collapsed quickly and efficiently. 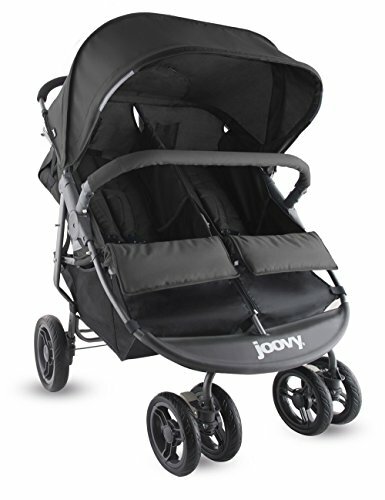 It has a bulkier design, which means it might not be as sleek as other strollers. 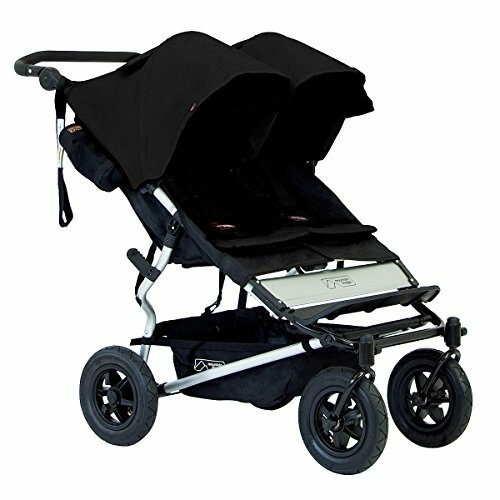 With its sleek design, this stroller can be folded with one hand and has a large sun canopy of its own, to protect against the heat. The canopy additionally has special “peek-a-boo” windows which allow your children to see outside while staying cool. It also has an adjustable handlebar, so parents of different heights can all be happy. There have been some complaints about size and durability of the stroller. Also, it’s important to know that despite its name, this stroller is not meant to be used while jogging. Maximum weight recommendation: 100 lbs. A good stroller is crucial to have for a new parent, as it means you and your children will be able to explore the world together. By purchasing one of these non-toxic and strollers free of flame retardants, you are showing how precious your children’s safety is to you. After all, it’s a big, exciting world out there and you want to ensure that your children are as free from any harm as possible as they explore it with you. 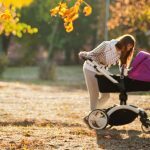 A stroller might just seem like an accessory to get your children from point A to point B, but a safe and well-designed one can make all the difference in the world. Hope this list gives you a good idea of all the great options out there. With any of these high-quality products, you know you’re all set for the upcoming adventure.